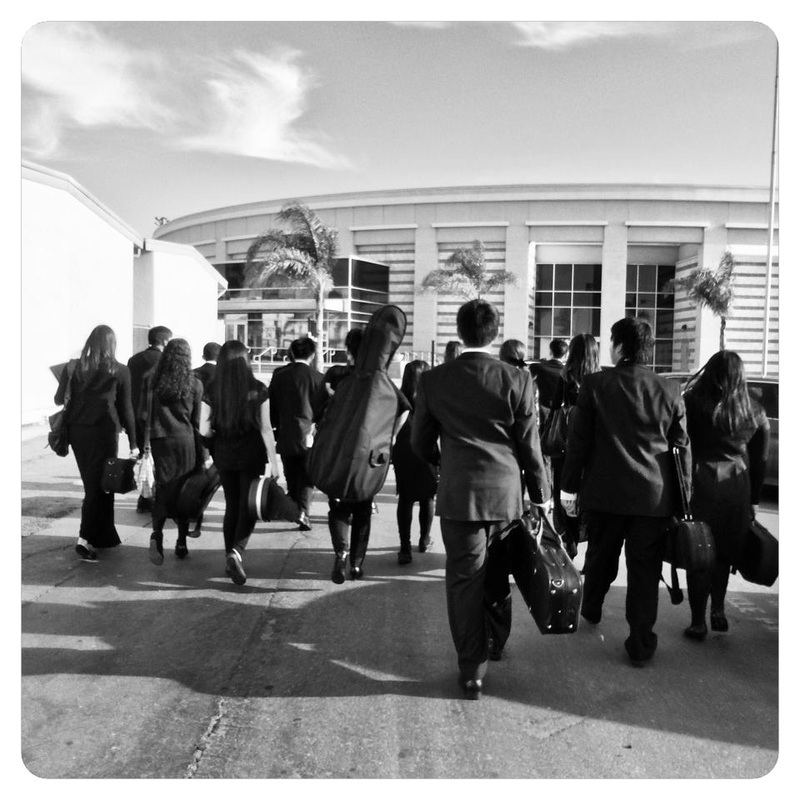 The orchestra program at Mira Mesa High School is designed to offer appropriate, sequential instruction and opportunities to any and all interested students. Our Symphony Orchestra is an audition-based ensemble, while our Concert Orchestra is open to any and all musicians with previous orchestra experience. Our Symphony Orchestra will pursue opportunities to include winds and percussion in order to offer full orchestra performance opportunities (our Concert Orchestra may, should the opportunity arise). Lastly, pending availability, our Debut Strings class allows students newer to the music education experience the opportunity to study a string instrument. In addition to offering ensembles suited to each student's ability and experience, Mira Mesa High School is proud to offer regular coaching sessions with established string professionals for our intermediate and advanced ensembles. Each week throughout the school year, our incredible string coaches work hand in hand with each of our musicians, providing additional guidance and instruction beyond what can be offered in a large ensemble setting. Take a look at our current roster of string coaches to learn more about the incredible musicians who have been kind enough to partner with us here at Mira Mesa. Lastly, our program has been incredibly fortunate, having established sound working relationships with a variety of arts organizations. The La Jolla Music Society, San Diego Symphony, Quartet Nouveau, the Hausmann Quartet, the Community Council for Music in the Schools, and the San Diego State University School of Music and Dance are a few of the local organizations who have grown to be integral partners as a result of their shared commitment to music education. For more information on our any of our orchestra programs or activities, please contact Mr. Mulvaney.